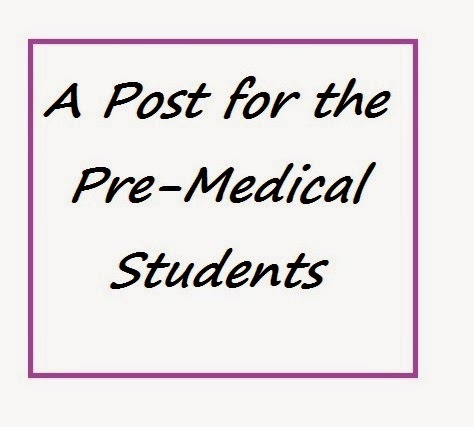 Aspiring Minority Doctor: A Post for the Pre-Meds: Do Upper Level Undergraduate Courses Really Help in Medical School? Thanks again for writing this up! PS. I'm still waiting to hear back from PCOM-GA, would you recommend calling them to "ask about my application"? I sent my updated transcript but still no ii... I don't have any ties to GA, I'm worried the admissions committee will think I'm not truly planning on going there. You're welcome :-) Glad you're learning what works for studying, but keep in mind that this probably will change in med school, so don't be afraid to adjust. I wouldn't recommend calling admissions about your application. This is a super busy time for them, so just use the portal to make sure all your application materials have been received. They interview through March, so there is still time, but the wait can be tough. We have people in our class from as far as California with no ties to the state, so don't stress about that. They are more focused on producing physicians who will stay in the South, but it is not a requirement. Ok, thanks! Some people were saying that it's good to call just to show your interest but I think sending an email does the same trick and is less annoying to the busy admissions office. The wait is tough though! Hey Dr. D, great post and GREAT advice!! I'd only that medical terminology (which you touched upon), would also be a good course to have before med school. Ah, yes! Medical terminology is a beast, but it wasn't offered at my previous schools :-( Definitely would have helped though. This was soooo soooo helpful. Thank you so much. You mentioned that its more enjoyable to learn medical biochemistry vs. route memorization on pathways in grad school. Thats how I hear it is here at MC. I took biochem twice..Got a F, then a C. that was back in 08. Do you think its best to just wait to see it again in Medical school and make good grades in my other classes or go back and take biochem 1 and 2 before medical school? I've heard a few medical school admissions people say they don't like re-takes. For what it's worth, I had a ton of re-takes on my transcript, including biochem. If you plan on applying DO, the retakes can only help you as they will replace the previous bad grade. If MC offers it, then definitely take it on a graduate level. So Im in my first semester in a special Masters of Medical Sciences Program at Mississippi College. Alot of the classes here are taught at a medical level including Histology, Gross Anatomy, Neuroanatomy, Medical Physiology1 and 2. Obviously because they are worth 5 or more hours each grad school full time load is much less than undergrad. In your opinion, as far as GPA-wise/ what medical students like to see, is it best to just take a couple of classes for min. full time status and get A's or do they want to see a real heavy course load? I know the goal is to get the highest GPA to "get in" medical school. I know once you get accepted, you'll get the whole kitchen sink thrown at you. For a Master's program, the couple of classes that will make you a full-time student is more than enough. I only took 6 hours a semester in grad school and that was considered full-time by both the school's and financial aid purposes. I have a couple of classmates that attended the MC program, and I have heard nothing but good things about it, so take the advice that they give you and you should be fine. Any MCAT advice for new mcat? Im taking it in august and planning on taking a couple of summer courses as well. Thanks. To be honest, a lot of medical schools aren't sure how they are going to approach it yet. I am going try and compile some new information so that I can do a blog post on it hopefully in the near future. Really helpful, thanks. I was thinking to take Biochemistry next semester, suppose I'll consider you advice.